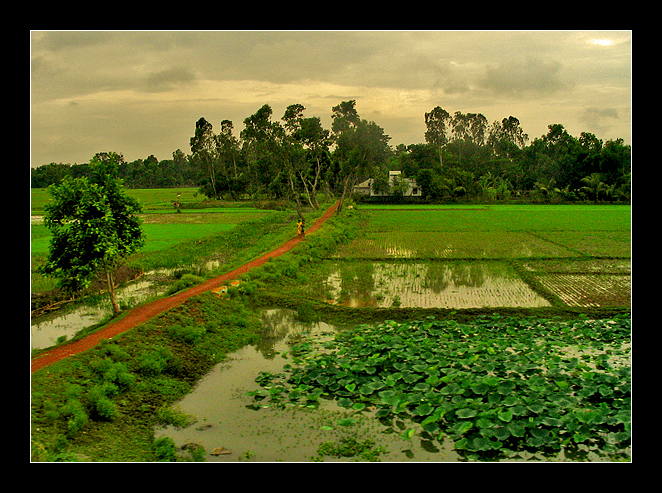 West Bengal has been a pleasant surprise for me. Having lived in South, West and North part of India, East seems to have a different charm altogether. From past few days I have been posted in a village called Rishra, it is in the Hoogly district of WB. My travel to this place was one legendary ride. I took a local metro from Hoogly station to Rishra station first, then a shared auto to a place called Joda Hotel and then another auto for my destination. The strange part in WB is the way they pronounce words. “Rishra” is pronounced as “Risda”, and many similar pronunciations. It was hard time for me when I first came to this place, all the while I was looking for a station named “Risda”, and luckily for me when the station “Rishra” I happen to ask someone, “How far is Risda?” And that’s when I got to know “Rishra” was “Risda”. From there, I had to take a shared auto rickshaw to “Joda Hotel”, I think its “Jora Hotel”. A few meter away from the station there was a auto stand and I got into an empty auto. Another strange part in WB is that there are no private auto rickshaws, all are shared. Only taxis are private, as in you can take it where ever you want to. Normally in Kolkatta a shared auto accommodates 5 passengers, but to my surprise Risda auto rickshaws accommodated 10. 5 in the front and 5 at the back. The road is about 2 meters with potholes every meter you travel. I was sitting in the front part of the auto along with 3 others, 3/4th of my body outside the rickshaw, trying to balance myself, holding tightly to the frame so as to not fall off. It was one legendary ride for almost 7kms. And guess what, it cost me just 8Rs. Well, WB heaven if your underpaid. What is the common sight in villages? Chickens right? In this part of the country you find ducks. I have hardly noticed any chickens actually. Food!!! Wow!!! Potatoes!!! WB cuisine is bit strange, they eat rice, heaps of rice and potatoes, heaps of potatoes, and fish. My cook tells me he had prepared “Gobi Ka Sabsi”, when he served me I just saw “aloo”. I didn’t say anything that day, but next day he told me he had made Chicken Biryani and to my surprise I got one small piece of chicken and 3 huge potatoes. Now i have stopped asking him what he has made anymore, because I know it’s some form of “aloo”. WB is on Go Green mode I believe. Plastic cups are not used atall, it’s all clay cups and even vessels. They serve especially tea in them, they have different sizes all these clay cups and tea served in each size have different rates. It is a very innovative way of not using plastic and also bringing growth to pottery business. Life in this part of the country is bliss only if you’re not reminded of the rat race. Having said that I will be out of this place very soon exploring some other unique cultures of our Great India. “Afghan snow leopard”, “Royal Bengal Tiger”, “Single horned rhino” the list can go on. These animals are on the verge of extinction because of humans. There are hardy thousands of each left on this planet. Humans! I sometimes hate my own kind. 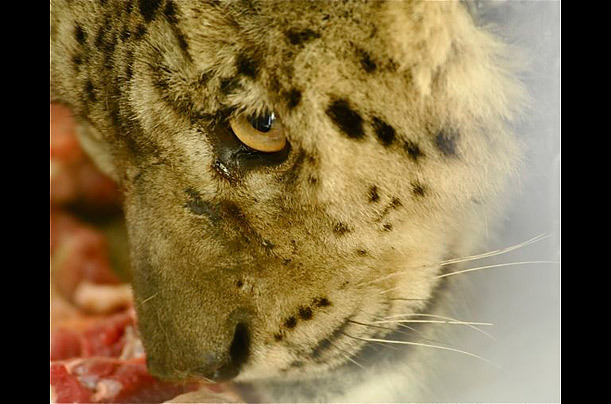 I was looking at a photo dairy called “Death of a Snow leopard” on Time. I was just looking at the picture but I could feel the pain the leopard had been through. It was captured by a hunter in Afghanistan mountains and bought to the capital Kabul in a cage. Its hind leg was wounded because of the trap the hunter had laid. It was completely frightened and terrified by humans while the hunter was trying to sell it. Wealthy business men pay about $50k for these exotic animals. But somehow it was saved by some environment activists but it didn’t survive. One of the doctor says, it died because of the stress it went through. Imagine you are the king of a country, walking with pride and knowing that no one exists to defeat you and suddenly you are captured and tortured and taken away and sold. How would you feel? I guess I would have killed myself than living with that trauma. I have a strong sense of emotional connection with animals and also people that I start feeling their pain when I see them or hear them tell about their miseries. I always wish I can do something, but I always fail. I just wish, that someday things will change. 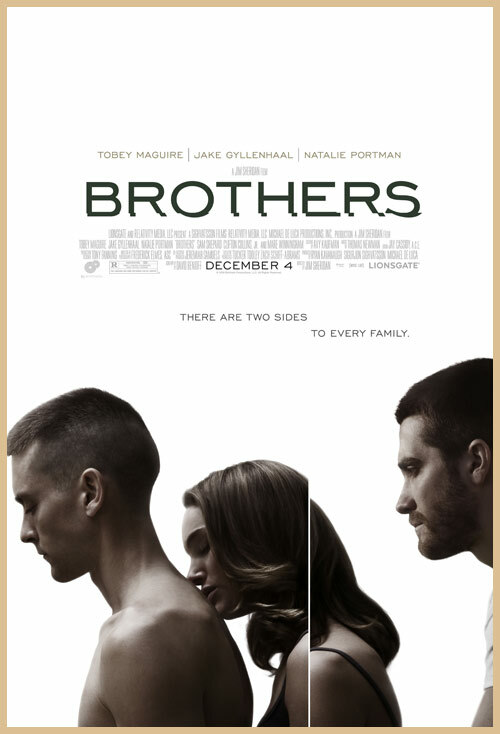 I just watched this movie called ‘Brothers’, starring Tobey Maguire, Natalie Portman and Jake Gyllenhaal. The movie has lot of emotions of different characters and situations. Capt Sam Cahill (Tobey) and Tony Cahill (Jake) are brothers. Sam is married to Grace (Natalie) and has 2 daughters. Tony is the younger brother, he just returns from jail. Tony’s character depicts the failed second child attitude. The father always wanted the second son to be like his brother a hero and follow his footsteps, but he turns out to be an antisocial. Every time the father compares Tony with his brother, he make him feel he is worthless. This emotion, of being the second child and being treated differently is always prevalent in every home. I have always been mama’s boy and my sister being dad’s girl. I was never used to get anything new, be it cycle, notebook or even a pen, everything came to me after being used by my sister. When ever she used to be angry or frustrated she used to beat me up. She was good at everything, be it dancing, sports or studies. I grew up as a shy and timid kid, afraid of not being able to keep up to my sister standards. I love my sister and even my dad, but that feeling of being the second child is always there. Even till date, I never have much attachment with my dad or sister, I guess this is the reason. The other day I was talking to my sister, I asked her why she used to beat me up everyday when i was a kid. I was pretty surprised when I heard the answer. Apparently, when the second child is born the first child wont be getting so much of attention and care as it used to get before. Now considering children of that age, who want to be cared and given attention and does not get it. They do anything to get that attention and care. So, my sister was doing the same. Actually in the movie also they show this emotion being displayed by Sam’s first daughter. There is another scene in the movie where in Sam gets captured in Afghanistan and is tortured for three months until he is rescued. During this torture he will be made to kill his colleague by beating him to death with a metal rod. After he is rescued, he comes home to find out his place in the family is being replaced by his brother. His behavior is also changed because of the trauma he had been through. He is paranoid and walks around in the house with a gun. Army men can be very tough mentally and can keep secrets even if they are in the verge of dying. Sam being a marine, never talks about his days where he was captured and was made to kill his colleague. When your deeply hurt emotionally, it is best consoled if you let it out either by crying or talking about it to someone. There was a time when I never talked about my emotions with anyone, I kept it all in me and pretended to be normal. It was a time when my girlfriend had slept with another guy. And unfortunately I came to know about it from that guy itself in his room where everything had happened. He started telling me the whole scene, where they did what and how. I was listening, trying not to lose my temper and be aware of what was happening. After he finished, I called my girl and asked her if it was true.. she started crying. I didn’t know what to do at that point. The guy who slept with her had that proud look on his face telling me “I slept with your girl man.. looser!”. I just left that place telling that guy never to interfere in my girlfriend’s life. I called my girlfriend and told her not to worry, I was not mad at her and I would not leave her. She felt better but I felt worse. I never talked about it to anyone, kept it for myself suffering in pain. I could not see my girlfriend in her eyes, it had become so difficult. Almost six months passed until I met a girl. She was pretty and she liked me. I thought this was my chance to escape from all the miseries and start a new life. But it was a bad decision and everything in my life after that. I wish I had let out my anger and pain. Well, the movie ends when Sam tells his wife about what happened and he feels a sense of relief. I guess its too heavy to carry all the pain. I was sitting alone doing nothing and had a strange feeling of talking to someone. Talking to someone to ward off my loneliness in one way. But I could not think of anyone whom I could call and talk to. I started wondering, where did all my friends go? Or did I distance myself too much from everyone? I keep fighting this battle of loneliness now and then. I keep telling myself, one day I wont be lonely anymore. 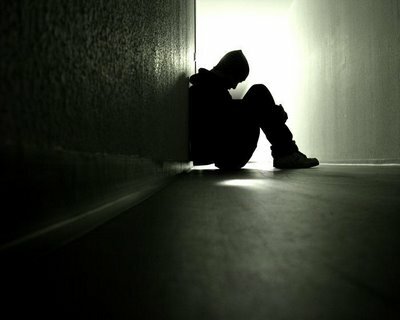 Sometimes I think I feel lonely because I am not in a relationship, or I don’t socialize so much. but sometimes I feel I am better off alone and single. When I was a small kid, I used to play all alone talking to myself and making stories. I didn’t have the pleasure of toys to play but I still managed to find a shoe or a slipper and make it a car and used to play with it all day making sounds and telling stories. I was malnourished kid and I also had metal straps on my legs as it was weak and bent.It is called something in medical term which was because of deficiency. And because of that I was not in a position to run or play with anyone. But I never felt lonely those days, I was happy playing by myself. But today it is a different story. I remember once in school I used to sit alone while other kids used to play. I was asked by my teacher why I was sitting alone, and I said I had no friends. In the afternoon class she called me to the front and asked the students, “Who wants to be friends with Abishek?”. I still remember 3 guys who stood up as to offer their friendship. I have encountered death twice. In normal state of my mind I can say I am not afraid of dying, but when death looks into your face and tell you, you’re going to die, that is when you get very scared. The first time I got this feeling was when I met with an accident, a head on collision with a car and my bike. I had closed my eyes for sometime and didn’t realize I was in the middle of the road and the car light flashed into my eyes. I had hardly 2 seconds before I realized I was going to die. The first thing that came into my mind was my family crying over my death and I thought to myself that I cannot die today. I woke up after a while, I was lying flat on the car bonnet and the crowd was screaming. I was smiling when I woke up. Me and some friends had gone to Edmuri. It’s a picnic spot beside a river. We were all playing in the river stream, the stream was bit strong and at the center the force was even stronger. Except me none of my friends knew swimming. One of my friend was at the center of the stream and he looked comfortable playing there. Suddenly he slipped and the stream took him along. I went after him but the stream was so strong that it took me also into it. I was under water for about 5 seconds in which I had to decide to go after my friend risking my life or save myself. I decided to save myself and with all my energy I dragged myself to safety. I saw my friend being taken away and he was screaming for help. That moment I felt guilty,humiliated, weak and helpless. But, my friend did survive. It was a miracle though. Even the strongest man bows down to death. 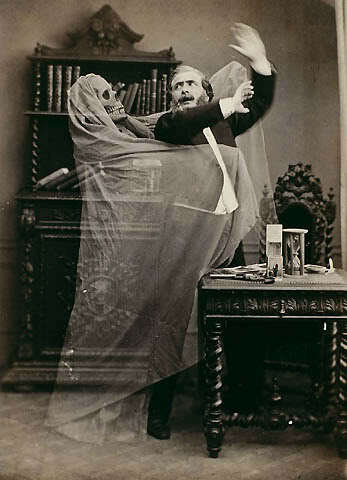 It is very difficult for a normal man to stare at death and tell it to fight. I think if a man loves something more than himself, only then he will be able to do it. Hmmm….. I don’t think I can stare at death today, but maybe after certain time, when I have a family, I would stare at death to protect them against all odds. Earth was a speck in this universe and we are one of its minute creatures, what if there was a bigger world and bigger living beings or even earth being a living being and we were just residing on it like some parasite. Or probably earth was a parasite or a worm in the universe and we were parasites of this worm. Strange thinking, but it made some sense to me in a different way. Everyone wants to make an impression in the minds of people in this world before they depart. But why? 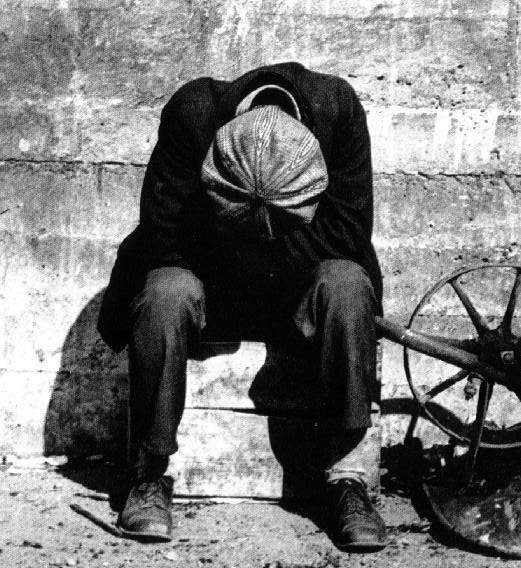 There are millions who dream the same and want to do the same, and struggle all their lives trying to do something just for that name which he/she will not even be present to be satisfied of. I was with group of hippies actually, and I realized how happy they were doing nothing, living by the day. Before i met them I always used to think of future and worry about it like making an impression and stuff like that.I learnt a lot from them, to be happy, content and live by the day. Even if they do not have a penny they will say with so much confidence, “Don’t worry, something will come up”. 8:30 PM, I had popped the pill like some normal medicine. I was normal for quite some time sitting on the beach. Then I felt that my pant was wet, then I realized I was sitting too close to the waves. I was a gymnast when I was like 10 years old. So I was trying to show off my skills to my friends but ended up spraining my shoulder which still hurts. The energy level is very high when you have these kind of drugs. We guys were on the beach from 10 till morning 4 walking the whole beach which was about 3km stretch. I think we had walked more that 10KM that night apart from dancing and other crazy stunts I was pulling. The whole night I was chewing a gum and I was chewing it so hard that for next two days my jaws were paining. I was talking non stop, screaming on top of my voice and I also remember someone telling to me shut up. It was one crazy night and I loved it for all the fun and experience. My normal heart beat is around 56-60, but the normal is 72. Some people might say it is bad but scientifically athletes have lesser number of heart beats in normal conditions and while they are working out it increases substantially. Your life is essentially dependent on your organs, and two main organs which keep you in good health is your heart and brain. Brain can be manipulated easily as it does not require much of physical effort. But your heart needs to be healthy to support and supply blood to all the organs at all times. 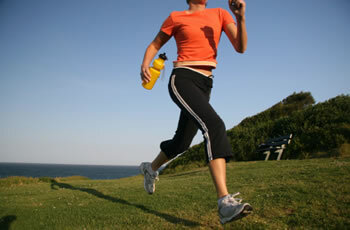 So exercising it to keep in good form is essential for it to be healthy. High blood pressure and low blood pressure is maintained by your heart and it maintains it by pumping blood at sufficient pressures. If my heart is able to generate the same amount of pressure pumping just 60 times a minute than the normal person it is obviously better. The possibility of a heart attack is also negligible as the pressure at which my heart can pump is 20% more than the normal. Now let me tell you how to reduce your heart beat. Firstly you need to do physical exercise like jogging, swimming, cycling, walking or playing games like football which involves quite a lot of physical activities. And all these should be a routine for whole of your life. You will see the result normally in about 3 to 6 months. You will need to involve in at least half hour workout everyday. It not only helps your heart but in total your body health. It will make you look younger, fitter, more energetic, more resistance towards normal diseases and some intangibles like self-confidence and less stress. In addition don’t do this: smoking, alcohol and other drugs. Alcohol to certain extent is good but not always. I hardly speak about my problems to anyone. In fact I believe I have two people in me, one person is Abishek and the other Mithun. Abishek is a nice down to earth kind of guy whose thinking is always pure, but Mithun is a freak and runs the entire bad math and gives me a kind of unique character. 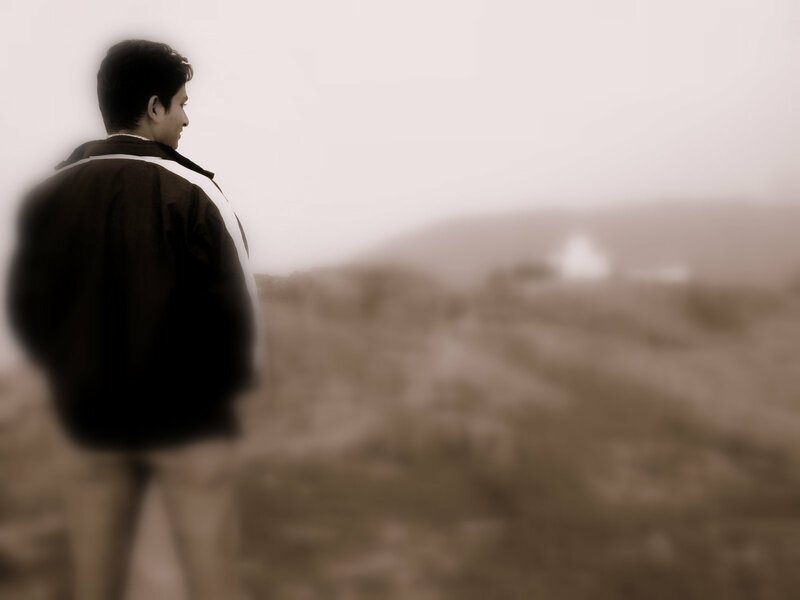 In total Abishek Mithun is a very silent guy and who does not care about anything. For class 8 I was put in a boarding school, and it was hell for me. Believe me when I say it was hell. First thing they did to me was cut my hair; I had this cool veg hair cut which was very stylish back then. Well that was the beginning of my reformation. Those three years were a mess. Puberty played a freaking role in my whole transformation. I was so humiliated in school that the scar will never disappear. I was very arrogant kind of kid back then with a group of my own making fun of others and I had that superiority complex. One fine day, I don’t know what the hell happened all my friends stopped talking to me. I didn’t give a damn, but the worst was just coming. All the kids in school started teasing me and calling names. At times I would get so angry, but I could not do anything. I was one man standing against a batch of 100. For a year this went on. I was silenced; I had stopped talking to almost everyone. This whole incidence gave me series of characteristic, like patience, emotional control, analysing ability and mostly forgiving ability. It brought down my pride and arrogance to certain extent. Till that day I had never asked for forgiveness from anyone but I did ask and things changed. I learnt a lot; even today I have all those characters intact. Nothing changed in later part of my life. Life teaches everyone in one way or the other, its just the time when you learn is important. In reality today I am kind of cold person, I keep my interaction to the minimum. I believe talking too much causes problems, and it does. I don’t get into fights, I don’t take sides and I make my own rules and follow them. I never told about my depression to anyone. When people tell me theirs I feel how weak everyone is. I had thought of committing suicide a lot of times but I never tried it. This was one part of the story where I built a strong base to face the world problems I guess. Let me tell you about the depth of my depression. If you guys have heard of stress ulcers and even might have had them, even I had them for a year and it was not a small one in your mouth. I used to get severe ulcers as big as a 25ps coins and there were at least 4 of them at any point. You know when you’re deeply hurt emotionally it’s always good to express it to someone, but I never did, so the result was overly stressed kid. I never tell the complete story to anyone, it is because I don remember them. Its kind of character I developed wherein my bad memories stay buried. Experiences make a man not age. But people learn only from the bad ones.. I had the privilege to take a course on Brand management. In one of the class we had to analyse an advertisement. I had previously seen this Johnnie walker ad, but I had never given a though about it. Every word in this has been chosen to reflect the brand Johnny Walker. The ad starts with an old library with statues of great personalities of out past and at the end the human android is sitting. The reference is TIME. It says the brand has stood over centuries. Then they show many images like an open book, globe, spiral wire, pyramid.. all these represent the presence of the brand in time across the globe. The sun rises and sets, which is an expression for the way it has stood with time. Then the human android speaks about the brand. 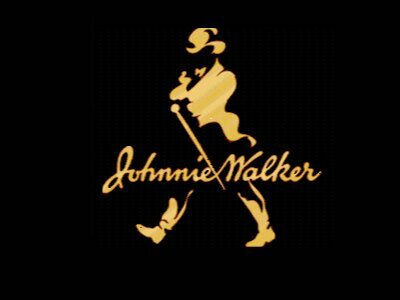 The android is Johnny Walker. The human android is also a symbol left to the imagination of the viewers. Every person who watches it relates himself to great personalities who have left behind their foot print. If you see closely the words spoken and the image, there is lot of relationship. You can see fluids moving inside the android is talking. What they are trying to show here is also their superiority in technology in making whiskey. And since this product is niche in its category it is targeted to people who are rich and successful and to also people who wish to be rich and successful. I day dream a lot. Usually my imagination runs simultaneously as someone speaks. Its very spontaneous. If I am sitting in a investment banking class, I start imaging myself as a hedge fund manager giving a return of 60% to my clients and retire as a billionaire. And similarly I become a billionaire in many other imagination of myself as a entrepreneur, tennis player and sometimes even lottery winner. I don’t stress on that part, but the part where I imagine myself after I become a billionaire. I never see myself driving expensive cars or having lavish parties with pretty women. I see myself amids a huge reforestation site. I build villages which are self sufficient with water and power resources. I educate people in backward nations to live and earn, not by feeding them. That is because I believe in the concept of teaching a hungry man to fish than giving him fish. I dream of eradicating the ruthless dictators in African nations. I dream of making African nations realize how much resources they have to become a super power. In short I dream of making earth a better place to live. I also dream of scaling Mt Everest and going to North and South poles. I never dream of shopping but I dream to live and experience nature and its beauty. Whenever I see places shown in the TV channel travel and living, I imagine myself in those places. 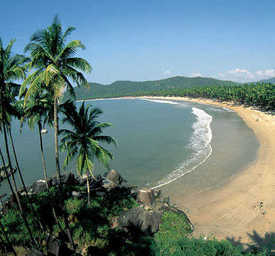 Sometimes I imagine the blue and white sand beaches with beautiful coral reefs and colorful fishes. And at times I dream of understanding different cultures even though I have never understood my own. I dream of the barriers between nations broken and everyone living in unity and harmony, sharing and caring. No racism, no discrimination based on caste or religion. Its all my dream though.